Avatar Hallelujah Mountain is located in the Zhangjiajie National Forest Park, in Wulingyuan district of Zhangjiajie, in northwestern Hunan Province, China. 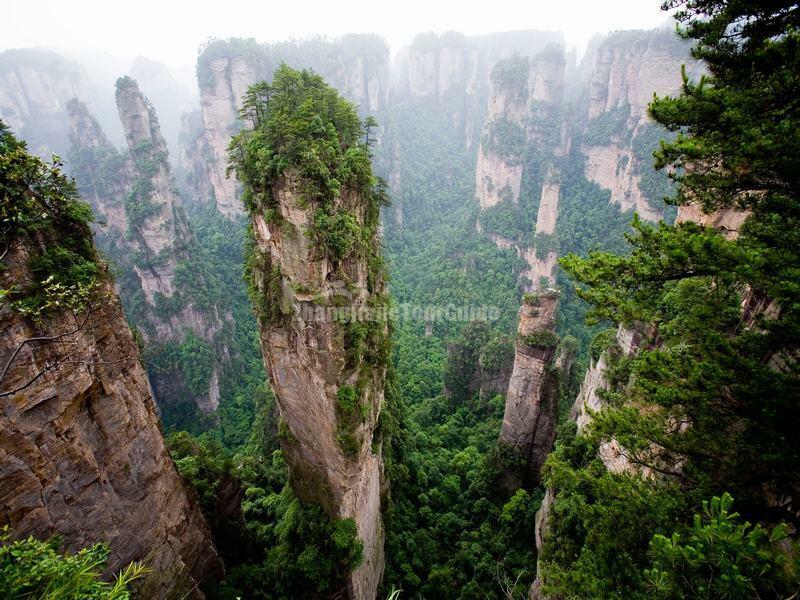 It is one of the park's 3,000 vertical quartz-sandstone pillars, and it stretched 1,080 meters into the air. Previously, it was known as the Southern Sky Column. 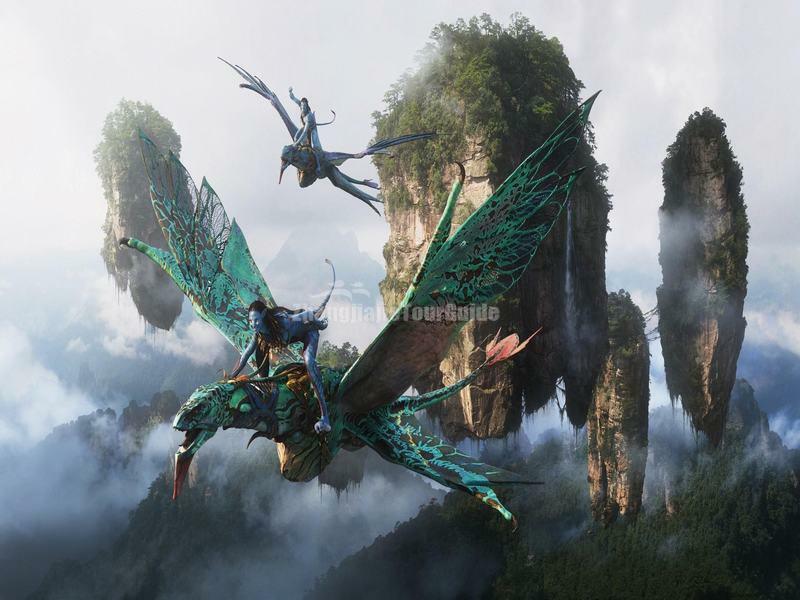 It was renamed to its present name in January 2010 for having served as inspiration for the "Hallelujah Mountains" in the film Avatar. 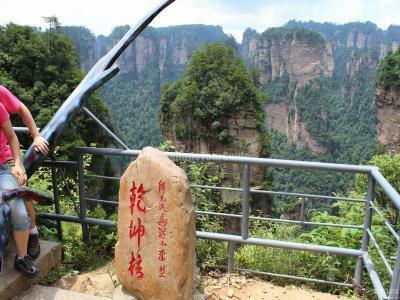 The Avatar Hallelujah Mountain is a must-see sight as park of the Yuanjiajie Scenice Area (a big mountain) in the Zhangjiajie National Forest Park. your best option. To save money, book flights months or weeks in advance. If you have time and want to experience land travel in China, taking the bus or train is the way to go. Zhangjiajie Railway Station is your likely stop if you arrive by train. Some of the cities that have a direct train to Zhangjiajie are Beijing, Shanghai, Xi’an, Guangzhou, Shengzhen, Yichang and Changsha. If you travel by train, book your tickets a day or so in advance so that you get the sleeping berth instead of a hard seat. In spring, you can wear light clothing, but still bring a jacket, just in case it rains. When it rains, the temperature drops, especially once you get higher up the park. On clear days and during the summer, it can get really hot, which means you can wear shirts and even shorts. You’ll mostly walk on paved walkways and stairs; you don’t even need to wear hiking shoes to explore the park, wearing rubber shoes are fine. Take note that some tourists wore jeans and dresses during their tour around the mountains. The best times to visit the park is from late spring to autumn – spring and summer provide warm and cool weather and the possibility of seeing the sea of clouds wrapped around the towering rock formations because of occasional rain. Autumn gives a different look to the park because of the changing hues of the plants and trees. Exploring the park during winter isn’t recommended, but if you want to see the mountains covered in snow, this season is a good time to go. However, prepare for the cold days and nights while in town and in the park.